What do I wear with: Fiorentini+Baker “Bibi”? Each Wednesday we’ll answer the on-going question: “What do I wear with these?” It’s a question we get quite often here at the shop and we love giving suggestions when helping our customers. This week we feature the Fiorentini+Baker “Bibi”. This week we feature this stunner of an ankle boot by Fiorentini+Baker called the “Bibi”. The gorgeous teal green leather makes a nice addition to any closet. Wear it with jeans and a striped t-shirt for a casual look or with a shirt dress and tights for a night out on the town. 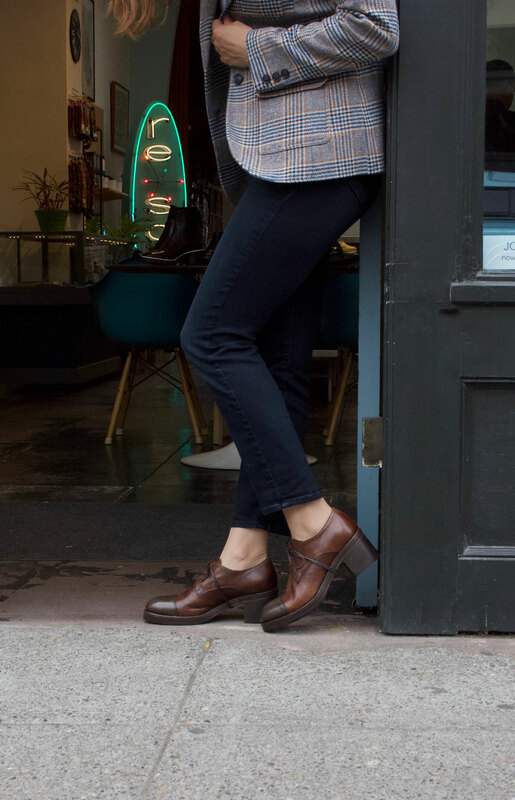 Keep it simple and let the boots do the talking. > Women’s platform ankle boot “Bibi” in Aloe by Fiorentini + Baker, made in Italy. > Handbag “Mrs Muffin” in dark chocolate by Aunts and Uncles. >Vintage German glass bead crescent necklace by Ronni Kappos, made in USA.